I especially loved that you used a pay-phone. :) That's something we will say "back in the day" about. Oh gosh! I love this recollection strip. 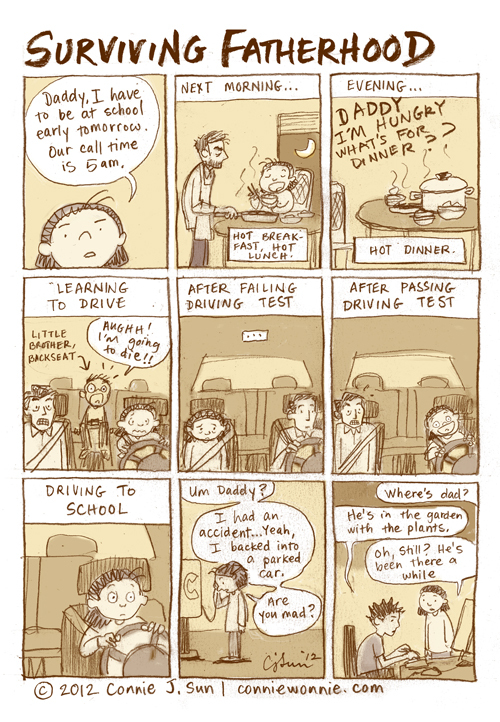 I esp like the cartooned drawing of your Dad in the second frame. Parents do so much for us. Love our parents.